Draft: 2011, Arizona Diamondbacks, 5th rd. His pregame routine consists of swinging a 26-inch bat 10 times with his left hand, then switching and taking 10 more swings with his right…He created the routine in 2016 to help prepare him mentally for the game...Michael grew up watching Iván Rodríguez and Yadier Molina and aims to uphold the legacy of Puerto Rican-born catchers in the majors...An hour after Rays GM Erik Neander called to welcome Michael to the Rays, Manager Kevin Cash called to say he'd be in the lineup to make his major league debut the very next day. Was acquired from the D-backs on July 25 and took over as the starting catcher…appeared in 24 games, including 22 starts at catcher, before a season-ending hamstring injury...Caught AL Cy Young Award winner Blake Snell in 4 starts, and Snell pitched to a 0.82 ERA (22-IP, 2-ER) in those games...On July 26 vs. BAL, made his major league debut after 572 games over eight minor league seasons…doubled off Alex Cobb in his second at-bat for his first career hit...On Aug 7 vs. BAL, struck out in the 9th inning after coming within inches of his first career homer-the ball landed three seats over from Dan Johnson's game-tying, 9th-inning homer in "Game 162" on Sep 28, 2011 vs. NYY…would have become the first player in the majors to hit a walk-off homer on his birthday since CWS Andruw Jones on April 23, 2010 vs. SEA, and would have become the second player in major league history to have his first career homer go for a walk-off on his birthday, following CLE Carroll Hardy in 1958...On Aug 10 at TOR, hit his first career home run, a 2-run shot off Marco Estrada in the 3rd inning...On Aug 24 vs. BOS, recorded a career-high 4 RBI, on a 2-run double in the 2nd inning and 2-run single in the 3rd…his 4 RBI matched the most by a Rays catcher over the last three seasons, and were the most by a Rays rookie catcher since Luke Maile on Aug 16, 2016 vs. SD...On Aug 28 at ATL, suffered a season-ending left hamstring strain after a slide from Adam Duvall at the plate in the 8th inning…was placed on the 10-day DL on Aug 31...Played in Triple-A Reno until the trade, throwing out 34.8 pct. (16 of 46) of attempted base stealers there…hit .284/.342/.417 (62-for-218) with 6 HR and 29 RBI in 58 games...Played 7 games for the Cangrejeros de Santurce in the Puerto Rican Winter League. December 14, 2018 C Michael Perez assigned to Cangrejeros de Santurce. October 1, 2018 Tampa Bay Rays activated C Michael Perez from the 10-day injured list. August 31, 2018 Tampa Bay Rays placed C Michael Perez on the 10-day disabled list retroactive to August 29, 2018. Left hamstring strain. July 26, 2018 Tampa Bay Rays selected the contract of C Michael Perez from Durham Bulls. 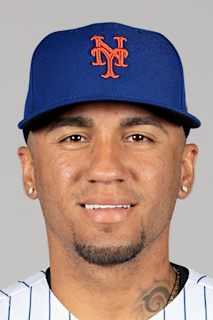 July 25, 2018 C Michael Perez assigned to Durham Bulls. May 31, 2018 Reno Aces activated C Michael Perez from the 7-day disabled list. May 24, 2018 Reno Aces placed C Michael Perez on the 7-day disabled list. January 9, 2018 Arizona Diamondbacks invited non-roster C Michael Perez to spring training. August 30, 2017 C Michael Perez assigned to Reno Aces from Jackson Generals. May 6, 2017 Jackson Generals activated C Michael Perez from the 7-day disabled list. April 25, 2017 Jackson Generals placed C Michael Perez on the 7-day disabled list. April 3, 2017 C Michael Perez assigned to Jackson Generals from Visalia Rawhide. March 2, 2017 C Michael Perez assigned to Arizona Diamondbacks. June 23, 2016 C Michael Perez assigned to Visalia Rawhide from Mobile BayBears. April 2, 2016 C Michael Perez assigned to Mobile BayBears from Kane County Cougars. March 7, 2016 C Michael Perez assigned to Arizona Diamondbacks. June 11, 2015 C Michael Perez assigned to Kane County Cougars from Visalia Rawhide. April 6, 2015 C Michael Perez assigned to Visalia Rawhide from Kane County Cougars. March 14, 2015 C Michael Perez assigned to Arizona Diamondbacks. October 30, 2014 C Michael Perez assigned to Senadores de San Juan. August 18, 2014 Michael Perez roster status changed by South Bend Silver Hawks. August 7, 2014 South Bend Silver Hawks placed C Michael Perez on the 7-day disabled list retroactive to August 5, 2014. June 29, 2013 C Michael Perez assigned to South Bend Silver Hawks from Visalia Rawhide. June 20, 2013 Michael Perez roster status changed by Visalia Rawhide. June 2, 2013 Visalia Rawhide placed C Michael Perez on the 7-day disabled list. April 13, 2013 C Michael Perez assigned to Visalia Rawhide from Missoula Osprey. November 8, 2012 C Michael Perez assigned to Atenienses de Manati. June 16, 2012 Michael Perez assigned to Missoula Osprey from AZL D-backs. April 2, 2012 C Michael Perez assigned to Arizona Diamondbacks. November 4, 2011 C Michael Perez assigned to Gigantes de Carolina. August 19, 2011 Michael Perez assigned to AZL D-backs. August 15, 2011 Arizona Diamondbacks signed C Michael Perez.